In the Fall of 2016 Michael and Margaret O'Sullivan donated a conservation easement to protect their property against further development. 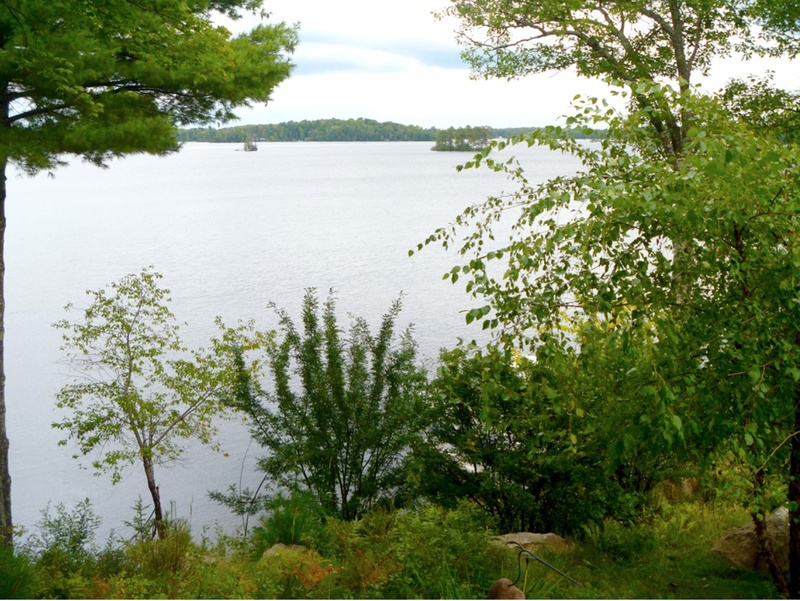 The easement is designed to preserve their land as wildlife habitat and to help protect the water quality of Spider Lake and surrounding waters. The O'Sullivans worked with Bayfield Regional Conservancy, a land trust that works with property owners to protect habitat in four counties of Northwest Wisconsin. In May 2017 the O'Sullivan family announced their donation to their neighbors and fellow SCLA members. The family hopes that their gift will inspire other property owners on the Spider Chain of Lakes to consider the benefit of conservation easements. When you have an opportunity, thank the O'Sullivans for their inspirational leadership! Below is the article on this conservation easement, reprinted with permission from the Bayfield Regional Conservancy (BRC). The BRC has now merged with the West Wisconsin Land Trust to form the Landmark Conservancy (www.landmarkwi.org). Michael and Margaret O’Sullivan bought their first property on Spider Lake near Hayward in Sawyer County in 1975 and, as Michael put it, “over the years, our whole family has come to absolutely treasure our little corner of the Northwoods.” So much so that now they have taken steps to protect some of it forever. The O’Sullivans have donated a conservation easement on eight acres of mostly forested land that abuts their lakeside home, guaranteeing it will never be developed. In addition to keeping the protected property as a buffer against development, the easement is meant to preserve the land as wildlife habitat and help protect the water quality of Spider Lake and surrounding waters. And, as the first conservation easement established on the Spider Chain of Lakes, Michael O’Sullivan said, it may inspire other owners to consider the benefits of such permanent protections for their own property. While his neighbors are not yet aware of the easement, he expects they will be receptive to the O’Sullivans’ efforts to protect against increased development. “God willing, we plan to have all of our neighbors over sometime next summer and make the announcement personally to them. My hope is that they will all be as enthusiastic as we are,” says O’Sullivan. The easement will be held by the Bayfield Regional Conservancy, a land trust that works with property owners to protect air, water and land within 4 counties of Northwestern Wisconsin. Conservation easements are perpetual legal agreements between property owners and land trusts or similar bodies in which the owner places restrictions to protect the natural values of the land. Restrictions can vary, allowing uses desired by the owner while prohibiting unwanted development. The owner retains all rights of ownership while the land trust monitors compliance with the restrictions going forward. The easement will prohibit development by the O’Sullivans and any future owners of the property, but does allow owners to continue to use the property for any purposes consistent with protecting the land’s conservation values. O’Sullivan said the financial investment in obtaining the easement will be easily offset by the permanent benefits of protecting the property. And if their decision inspires neighbors to take similar actions, he said, it will have been even more worth the effort. Reprinted With Permission From Bayfield Regional Conservancy website (http://www.brcland.org/brc-in-the-news), now Landmark Conservancy (http://www.landmarkwi.org).